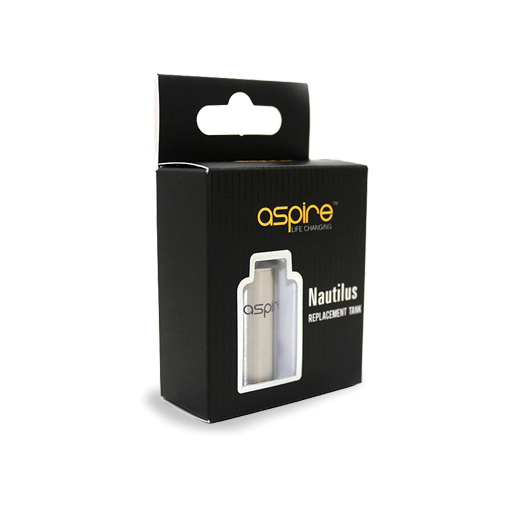 Don't worry...Now there’s a solution to this headache – The Aspire Nautilus Mini Stainless Steel Replacement Tank! A perfect fit for your Aspire Nautilus Mini and a stunning design will give your Nautilus Mini Tank a new design. Decorative hollowed out stainless steel tank for the Aspire Mini Nautilus. Helps keep your Glass Tank Body safe. Window cut out to allow you to view how much juice is left in the tank. The Aspire Nautilus Mini Stainless Steel Replacement Tank is the new stainless steele sleeve for the famous Aspire Nautilus Mini Glassomizer. The Aspire Nautilus Mini Hollowed Sleeve will make your Nauilus Mini look absolutely amazing. The Aspire Nautilus Mini Hollowed Sleeve works the same way the Aspire Nautilus Hollowed Sleeve works. This is the genuine Aspire Nautilus Mini Hoolowed Out Sleeve with security/athenticity code. The Aspire Nautilus Mini Hollowed Out Sleeve replaces the original pyrex glass tube of the Nautilus Mini to create an amazing look. The Aspire Nautilus Mini Hollowed Out Sleeve can be screwed on the Nautilus Mini base (with the nautilus coil) - this sleeve contains the air tube inside to screw the coil on and it also has a glass tube inside to preserve the pure flavor of your eLiquid.